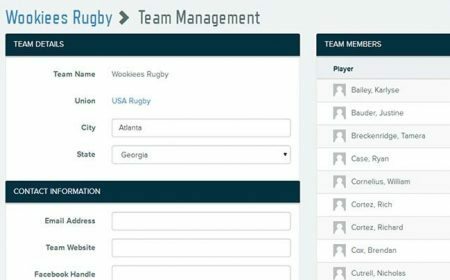 As much as Carlin Isles turned heads with his speed and effectiveness despite not having played rugby for more than a few months when he hit the Series, Perry Baker was somewhat of a revelation at his debut in 2014. 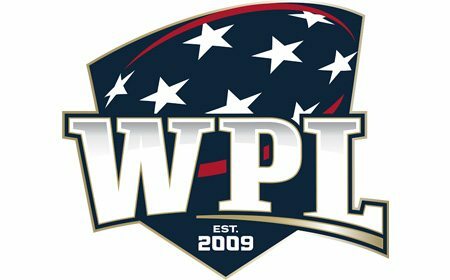 The former Arena Football League player and two-time All-West Virginia Intercollegiate Athletic Conference standout at Fairmont State University scored a try in his first match and five in three knockout games as the Eagles won the Bowl in Gold Coast. 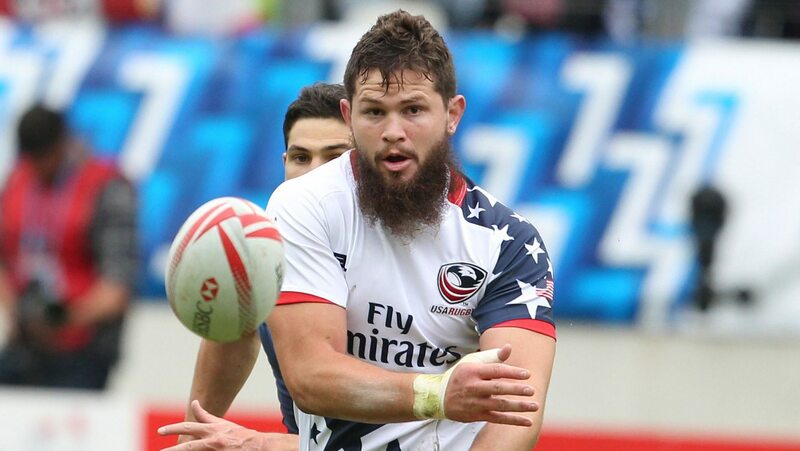 Baker's road to Rio began in Daytona Beach, where he found rugby to be more than just preparatory for football season, and rounded a corner in Columbus, Ohio. 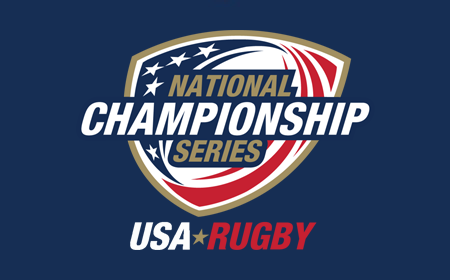 At Tiger Rugby, the tools at the 6-foot-1 speedster's disposal were harnessed into dangerous rugby weapons, showcased at the 2014 USA Rugby Club 7s National Championships. From there, Team USA Head Coach Mike Friday knew "Speed Stick" would be successful on the Series. It did not take long for Baker to score 50 tries (longer than it took to be nominated for Series Rookie of the Year), doing so in just his 15th tournament. What is even more remarkable is that the 50th was Baker's 22nd of the season - scored in the sixth of 10 tournaments - on the way to a 48-try campaign. In addition, Baker was the only "Chuckle Brother" available to Friday from No. 50 through the end of the season due to Isles' injury and track pursuits. 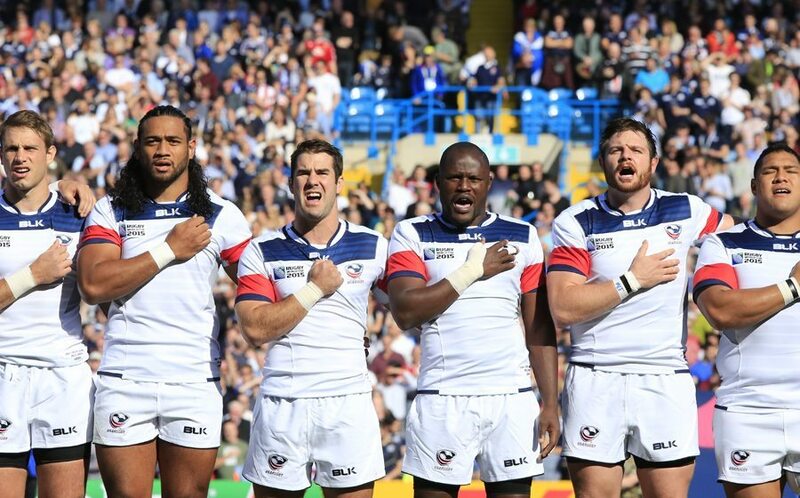 One of the most vocal Eagles on the field and in the locker room, Baker has quietly gone about adding dimensions to his game that have surprised even the most astute international rugby stars. 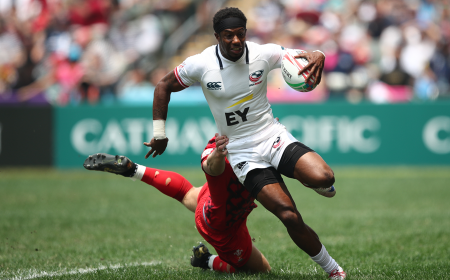 For those who thought he could only run fast and use his long reach to tackle, Baker added the chip-and-chase to his repertoire, leading to a best-try nominee from this season's USA Sevens. Team USA will be looking for moments of brilliance like that as well as consistency in Rio if it is to reach the podium. 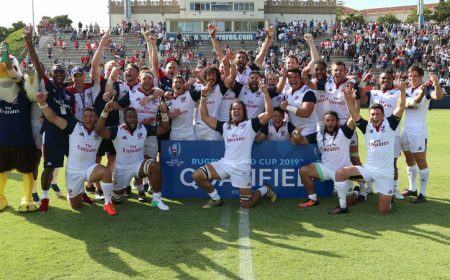 University of California, Berkeley, has produced more than its fair share of Eagles, but the trend of Bears on the international stage can be traced back to the Antwerp 1920 Games, where Rugby Union had been revived from a one-quadrennial absence. Between Team USA's gold medals in 1920 and 1924, 11 have draped the necks of Bears. The Cal tradition continues onto the 2016 team via Danny Barrett. 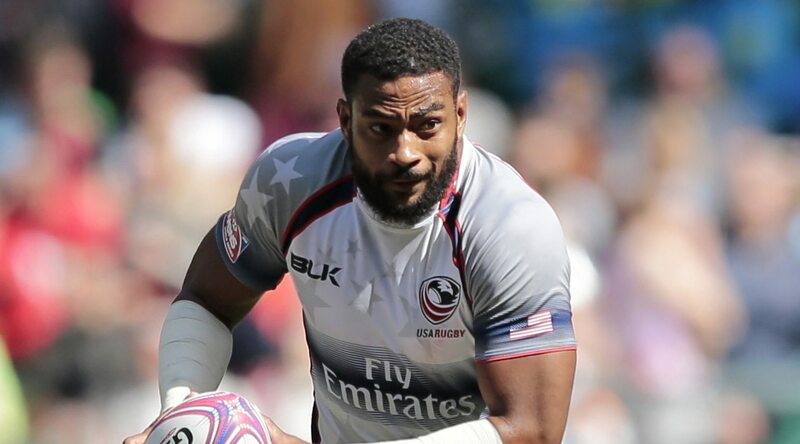 Since Barrett's debut - at USA Sevens of the 2013-14 Series - he has been selected to 23 of 24 tournaments and won nine XVs caps prior to the Eagles' four at Rugby World Cup 2015. A world-traveller, 'Dr. Dano' is happy to be at home, scoring six tries in Las Vegas and three in Cary, N.C., as the U.S. qualified for Rio. 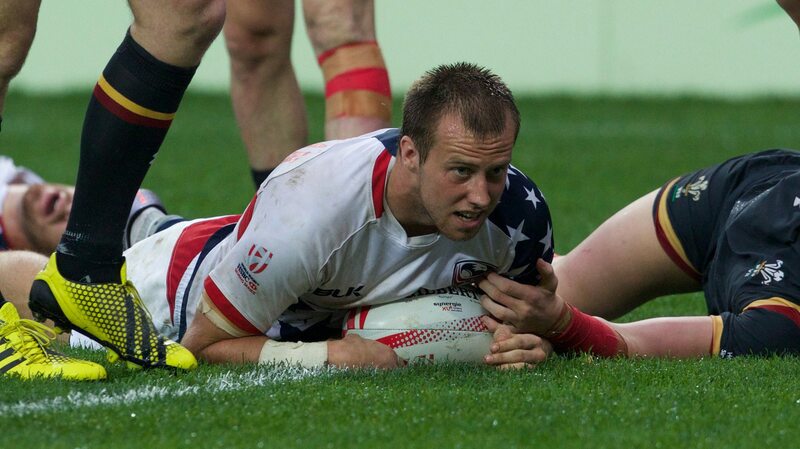 His bruising style with or without the ball, combined with the willingness to go into the dirty areas of the game, makes Barrett one of the most dangerous sevens players in the world. Iconic for more than his ever-changing hairstyles, Barrett has become a fan favorite around the world in the stars and stripes. One of the 'Bash Brothers' with forward partner Garrett Bender, he has run through opponents for 33 tries from all angles on the field. 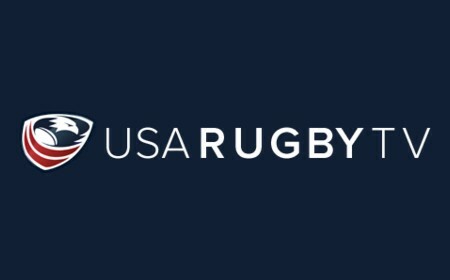 Like a handful of Eagles, he has added a successful conversion kick to his tally, and has four yellow cards to his name for the U.S.'s third-most all-time. 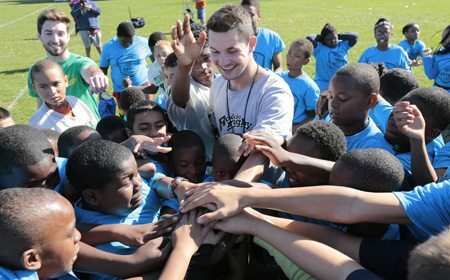 Despite his stature, Barrett is a humble, relatively quiet player in an Eagles squad with the likes of Nate Augspurger, Perry Baker, and Pat Blair. Similar to his captain, he leads by example, but is not afraid to participate in the half-time team talks. His passion for the USA jersey and representing his country will come to the fore when he walks in Aug. 5's Opening Ceremony. 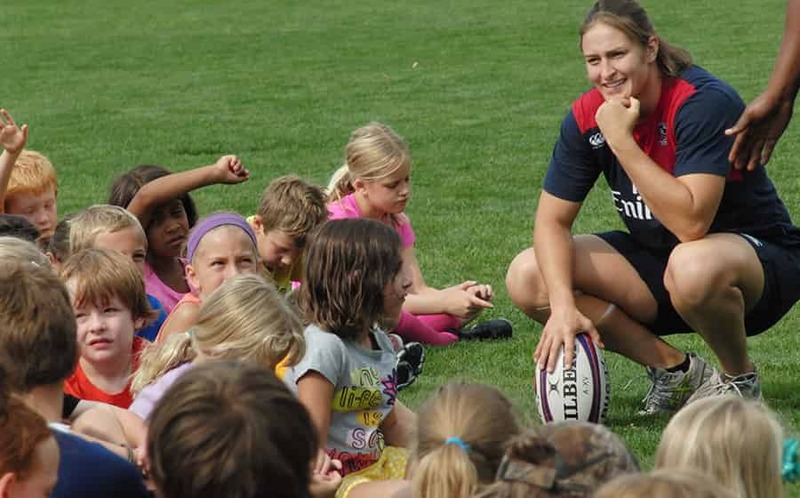 Evidenced by Kathryn Johnson's selection to Team USA's Women's Rugby Sevens team, as well as the successes of several top clubs and collegiate programs in the men's and women's game annually, Minnesotans find ways to play high-level rugby. 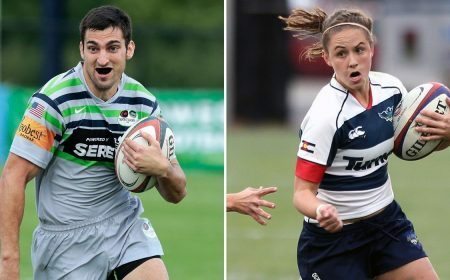 It was not long after the International Olympic Committee announced Rugby Sevens would be played in the Olympics that Garrett Bender turned his attention away from a promising football career. 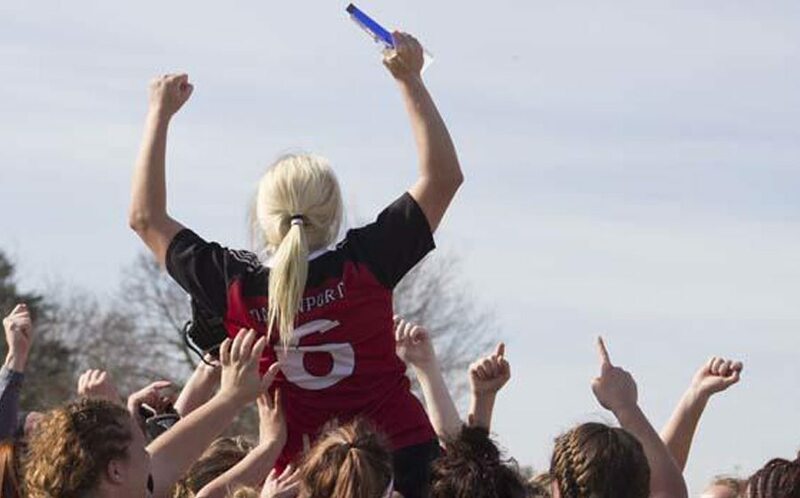 A high school championship in rugby was a bonus on a résumé for St. Cloud State, where he swapped to rugby after the freshman season. His Fighting Carp coach claimed he was not only the biggest player in the team, but the 6-foot-4 behemoth was also the fastest. 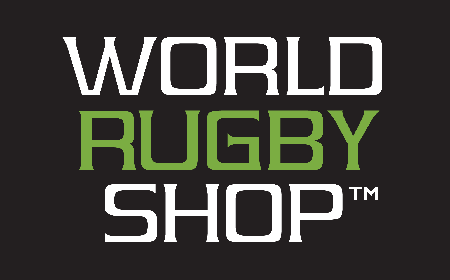 That kind of profile fits the bill for success in rugby sevens, and Bender has followed through on his decision to be selected to 24 Series events since a 2012 international debut. Bender has dealt with several injuries throughout his career, but always seems to come back with more impetus as if to make up for absence. 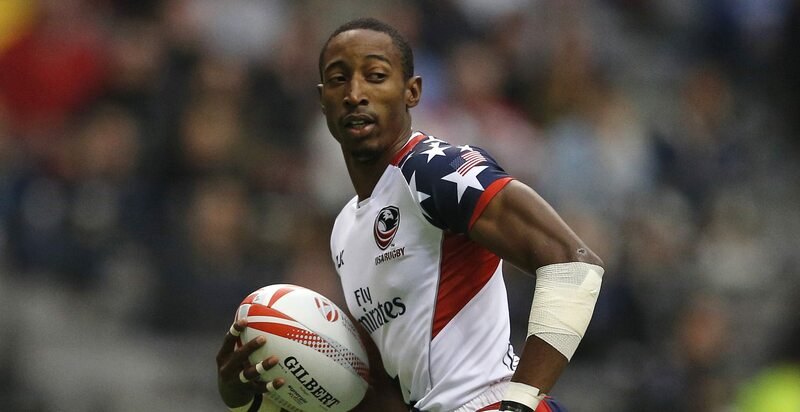 A mid-tournament niggle at London Sevens to finish the 2014-15 season kept him out of the Cup Final, which the U.S. won for its first Series Cup. 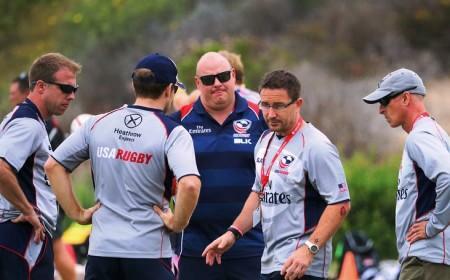 With Andrew Durutalo pursuing XVs opportunities, Bender took on a more pivotal role in Friday's packs of forwards. Appearing in 39 of the Eagles' 57 games this season, he was a poaching machine and assisted on more than just his four tries. In big-time matches Bender's role is even more prominent, and his frame and tenacity comes in handy for the Eagles against the likes of Fiji - one of Team USA's Rio pool opponents. 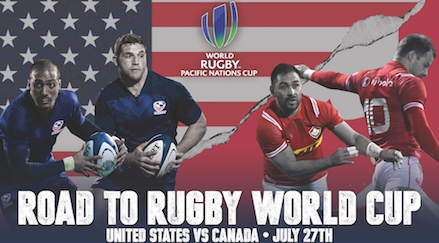 Australia, Fiji, and France, three nations qualified for the Olympics, conceded tries and plenty more tackles to Bender this season as he has fought for selection to Team USA's Rio 2106 squad. 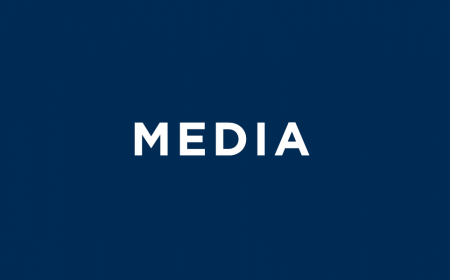 The culture of any Team USA team at an Olympic Games is an amalgamation of experiences and personalities from families that have come to the United States. 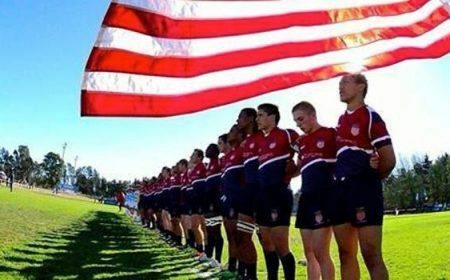 Andrew Durutalo was born in New York before his family moved to Fiji, where he represented the nation's age-grade national teams, but returned to the United States with an eye on wearing the red, white, and blue of his home. Durutalo headed straight for Seattle upon his return stateside, and his play with a local club caught the eye of then-Eagles coach Al Caravelli, who added the 6-foot-3 workhorse to his camp for the 2011 Pan Am Games. 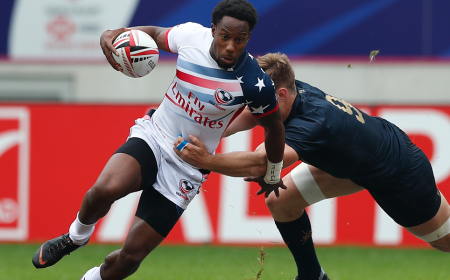 Though he did not make the eventual bronze medalists, he has been a mainstay on the Sevens Series for the Eagles, appearing in more matches than seven U.S. internationals on the circuit. Durutalo's effectiveness in the short-form version of the game has not been lost on Eagles XVs coaches throughout the years, and a three-year hiatus from the XVs squad was revived in 2015 for a run to Rugby World Cup 2015. Coming off of a London Sevens Cup triumph and Rio qualification with the sevens team, his play in England won him a contract in Super Rugby. Starting 11 of 12 matches for the Sunwolves and training in a full-time environment, Durutalo kept his eyes on Rio, returning to the Olympic Training Center earlier in the summer and in the midst of his team's season. 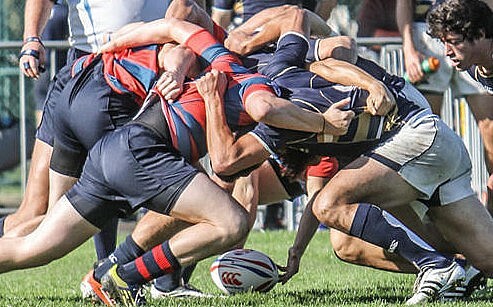 Rugby teams must have the ball to score points, and one of the main aspects of Durutalo's game is to win the ball back for his team in the contact area. 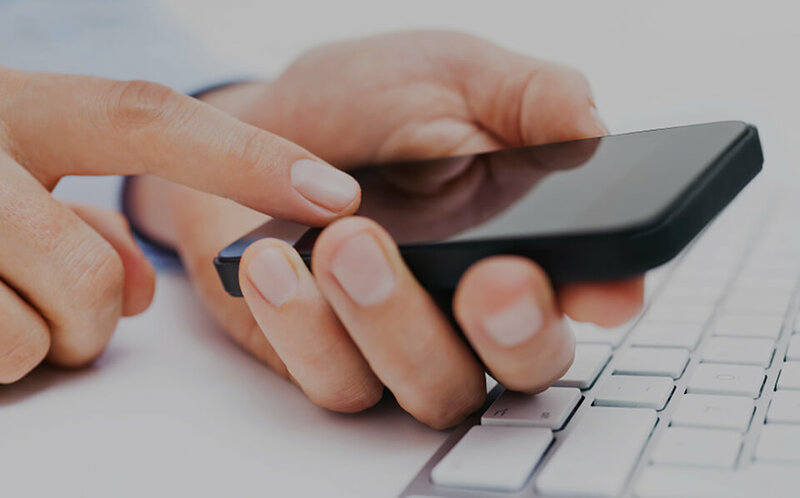 Strong enough to keep any opponent from going to deck and quick enough to a teammate's tackle, he is also well-versed in the laws of the game. The breakdown is a contest for the ball, and Durutalo is of the mind to win every contest. In Rio, his play will link Team USA on both sides of the ball. 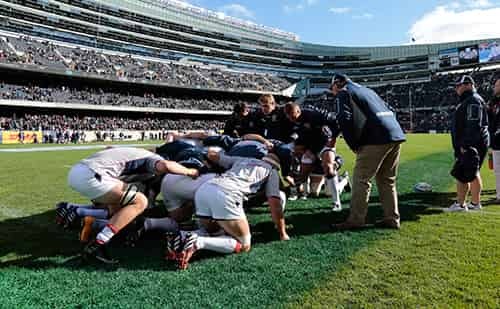 The link between American football and rugby is undeniable, and it is easy to see why athletes suited for one can succeed in the other. 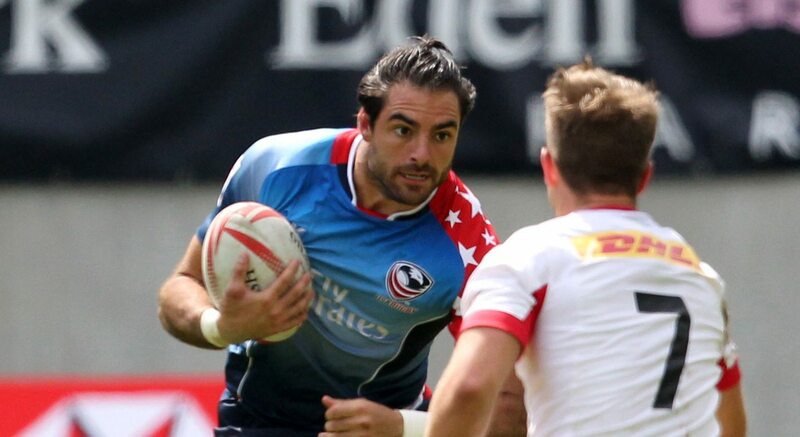 For Nate Ebner, growing up playing rugby paved way for a personal choice that has seen the Dublin, Ohio, native reap the rewards of fully focusing on football - his New England Patriots won a Super Bowl in his third season. His decision to forego a summer of football preparations for a chance to represent Team USA back in March was backed up by his humility, passion, and drive to be a productive member of the team. 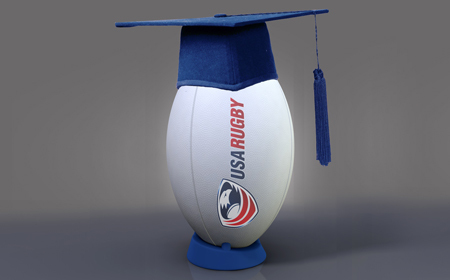 An All-American and Rugby Sevens national team pool player during his time at Ohio State University, Ebner made up his mind to switch to football not long after his father passed away, and walked on to the Buckeyes. Always a proponent of rugby when asked, he has been a servant to the game through the open-field attributes honed through years of 15-a-side. 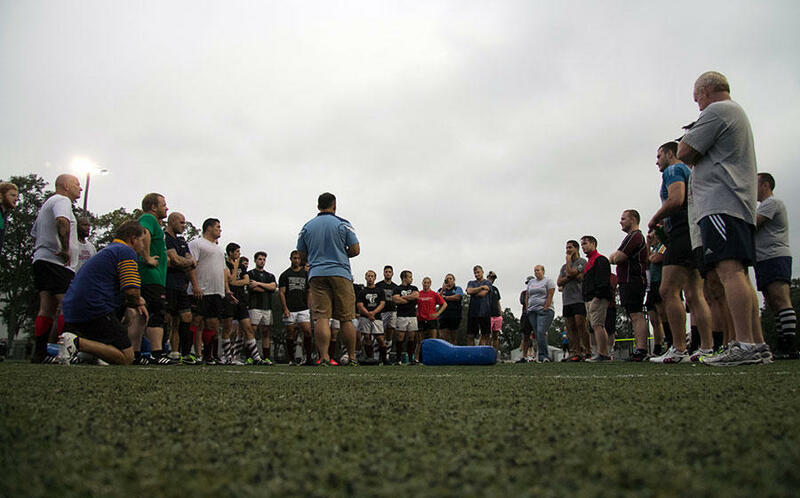 What people do not see in 14- or 80-minute sessions of rugby is the work done behind the scenes to prepare a group of athletes for competition. 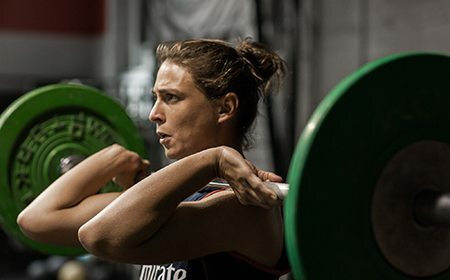 Friday and Assistant Coach Chris Brown brought an accountable, lung-busting regimen to the Olympic Training Center in the summer of 2014, and Ebner's four-month acclimatization, coming off of a full NFL season, was as brutal as any training camp he had ever experienced. 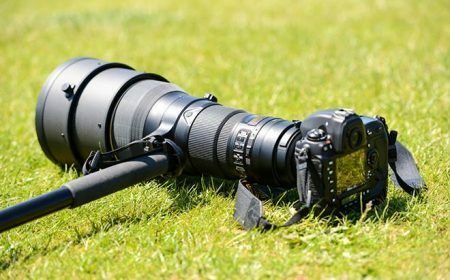 Getting his feet wet involved joining a combined touring side in a 10s tournament in Hong Kong as the Eagles traveled to the same location for their seventh Series leg. His play there, which included a long-winded try, resulted in a call-up as a reserve for the weekend's circuit stop, but he would not make his debut until the following weekend in Singapore. 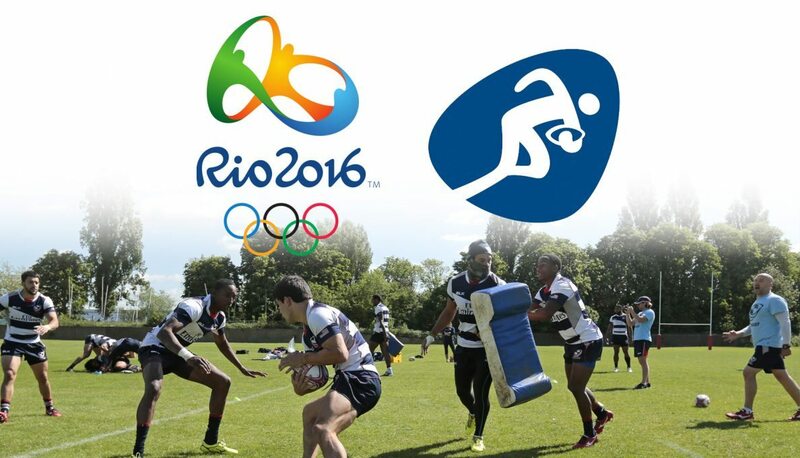 Ebner's two Series appearances, further rugby training in 10s and with the national team's development side, and competitive nature at the OTC have turned his rugby dreams into reality at Rio 2016. 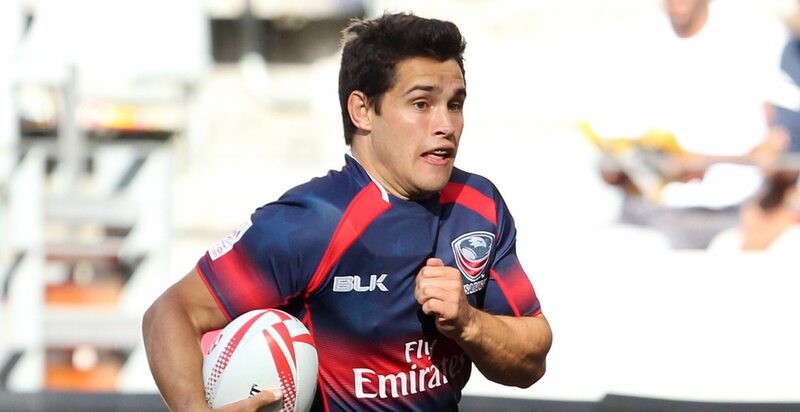 The U.S.'s all-time leading points-scorer on the HSBC World Rugby Sevens Series, and captain, is 23 years old and made his debut just two seasons ago. 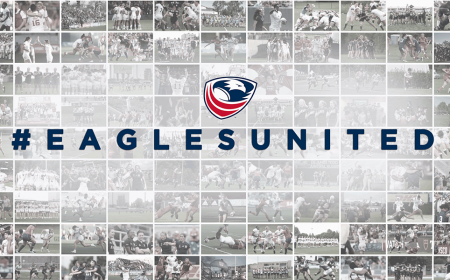 Having already won a World Rugby U20 Trophy with the AIG Men's Junior All-Americans in XVs and a Serevi RugbyTown Sevens title at the expense of men's sides with the AIG Men's Collegiate All-American Sevens, Madison Hughes' next step was always going to be the Eagles. When then-coach Matt Hawkins handed Hughes his debut, it was not in the starting seven. 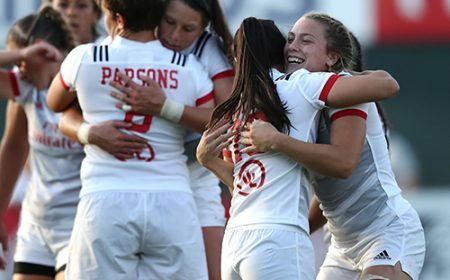 By the third match of the tournament in Wellington, New Zealand, however, Hughes had nailed down a starting role with crucial tackles and a critical mind for the game. Before the next, 2014-15 Series had started, new Head Coach Mike Friday chose the 22-year-old juggling international competition with Dartmouth College studies to lead the Eagles as captain. The captain's role encompasses more than pep talk duties, and Hughes embodies the title in spades, also responsible for kicking for points. From whistle to whistle and in dead ball sessions, the captain is seldom still and actively seeks ways for the team to move forward. 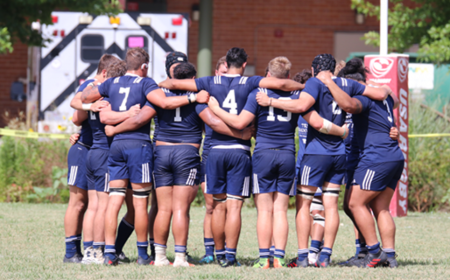 The Captain America moniker could also be paired with Iron Man, as only Perry Baker and Folau Niua played in more games (55) than Hughes (54) this past season. More game time does not necessarily result in higher point totals, but Hughes' active involvement and deceiving quickness hurt defenses. Of the Eagles' 1,157 points scored in 2015-16, he accounted for nearly 30 percent with 23 tries and 54 successful conversion kicks, and led the Series in 2015-16 in both categories. 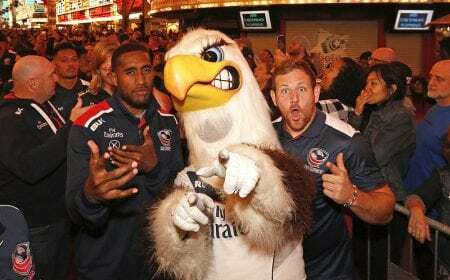 Hughes leads the U.S. all-time in points with 725, and has been at the center of Team USA's plans for Rio since his Series debut, through the transformation of the Eagles as participants to competitors and the subsequent London Sevens 2015 and 2015 NACRA Sevens Championships campaigns, to Monday's selection. 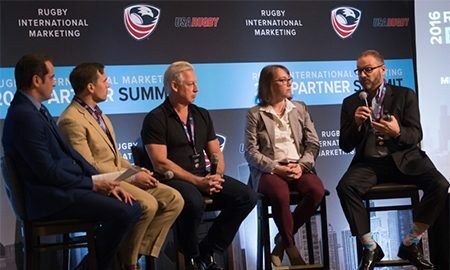 When he contacted former USA Rugby CEO Nigel Melville about trying out for rugby, all Carlin Isles had seen of the game was a few highlight packages on YouTube. Four years later, the highlight packages are of himself, running past defenders across the world as he chases the dream of becoming an Olympian. When sprinting did not land him in London for the last Olympic Summer Games, Isles moved to Aspen, Colo., to get his hands dirty with Gentlemen of Aspen. Under the watchful eye of the national team coaching staff, the Massillon, Ohio, native was able to show off his speed in bursts, but it was not until he moved to the Olympic Training Center that his true potential was revealed. 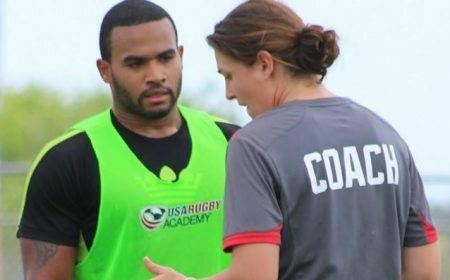 Since making his debut in Dubai at the beginning of the 2012-13 Sevens Series, Isles has played for three Eagles head coaches, all the while challenging some of the world's top rugby players for try-scoring accolades. 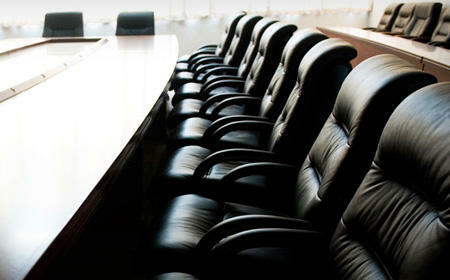 Under Mike Friday, Isles has found a place partnering the also-fast Perry Baker. The two have combined for 154 tries in four seasons - Isles has crossed the try line twice more than Baker at 78 tries - and improve the team's chances of scoring by creating that threat from any spot on the field. Though he missed some time on the circuit this season to injury and a potential sprinting berth at Rio, Isles is crucial to the U.S.'s game plan. The game-breaking speed is one thing, but he has increased his rugby IQ under Friday. Gone are the days of the winger waiting on the touch line; Isles will pick up the ball from the base of a ruck and take it straight up the middle if it is on, and his pass can give the likes of Madison Hughes or Folau Niua the space necessary to restructure the attack. 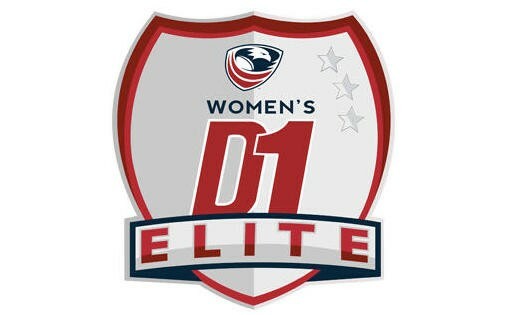 Several Eagles named to Team USA for Rugby Sevens' debut at the Rio 2016 Olympic Summer Games have already captured medals at a multi-sport event. For Folau Niua, a bronze medal at the 2011 Pan Am Games in Guadalajara was just the start of a journey that was to lead to an Olympic podium. Born and bred in East Palo Alto, Calif., Niua led the U.S. in scoring at the 2011 Pan Am Games, and cemented a position on the circuit side by the end of the calendar year. The dummy is a staple of Niua's game, but it is his abilities with the ball under pressure and as a defender that have seen him rack up 191 appearances on the Series - second-most behind Zack Test - and 17 caps with the XVs team as a center in midfield. Before captain Madison Hughes joined the squad, Niua was among a small list of kickers tasked with taking conversions and restarts. The drop kick is a different ask of a kicker than a shot from a tee, but Niua has been more than proficient throughout his career for 91 successful two-pointers and one penalty goal. Playing alongside the likes of Zack Test and Maka Unufe may result in fewer tries for Niua, but he is no slouch in finding the try zone, either, dotting down 41 times. 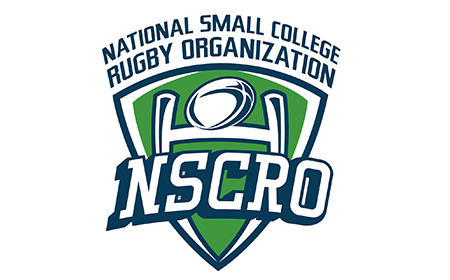 Several Eagles were given a rest following a successful Rio qualification attempt at the 2015 NACRA Sevens Championships, and Niua was one to miss Team USA's second consecutive third-place finish at the Pan Am Games in Toronto. The 31-year-old will want his next trip to the podium to be at the highest stage, and the highest step. 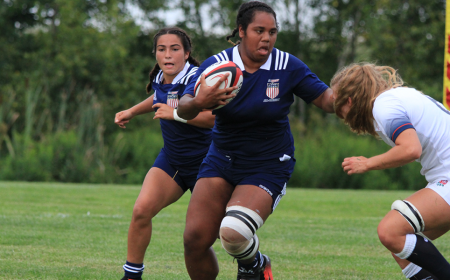 At 6-foot-4, a true athlete could play nearly every position on a rugby field. 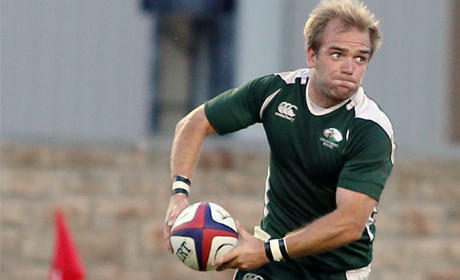 At Colorado State University, young Ben Pinkelman did just that against D1A Rugby opposition. His prowess in the forward pack was matched by his reading of the game in the back line, which allowed him to transition seamlessly into the senior game. 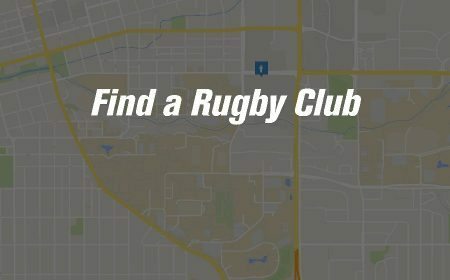 A native of the state of Colorado, Pinkelman padded his pre-Series rugby résumé with appearances with the XVs national team's A-side in 2014 and sevens championship appearances with Denver Barbarians and Denver Sevens, a select side. By the kickoff of the 2014-15 Series, he was a regular attendee at Head Coach Mike Friday's High Performance Camps at the Olympic Training Center. Once he made his debut in early 2016, Pinkelman still juggled studies with international travel, and managed to get a few games in with the Rams, as well. 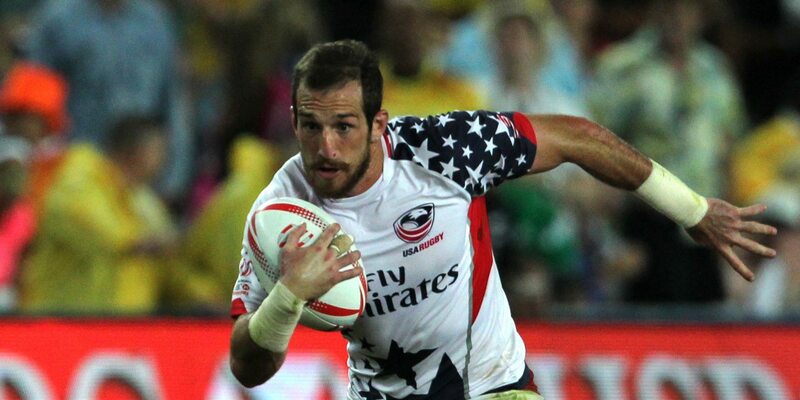 Like any one of the Eagle forwards selected to Team USA's Rio squad, Pinkelman's stature comes in handy in the game of Rugby Sevens. What might stand out most about the 22-year-old, however, is that he plays beyond his years. Not afraid to take on the most experienced All Black or chase down a line break on defense to save a try, Pinkelman appears the savvy veteran with just six Series appearances. Pinkelman's scored eight tries in 36 matches, and provides a steady dose of energy through 14-minute matches in his role. He quickly became a go-to on the restarts for the Eagles, as well, allowing a Zack Test to wait for possession and the attack to start. 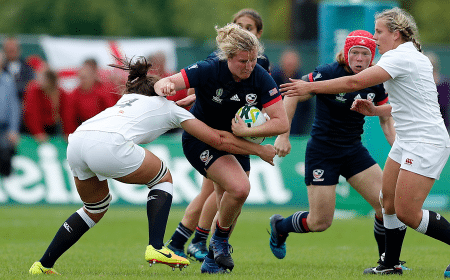 The youngest player on Team USA's Olympic squad brings an 11-year rugby career to the table; kicked off in high school, it will see Pinkelman grace the highest echelon of sporting competition in Rio. 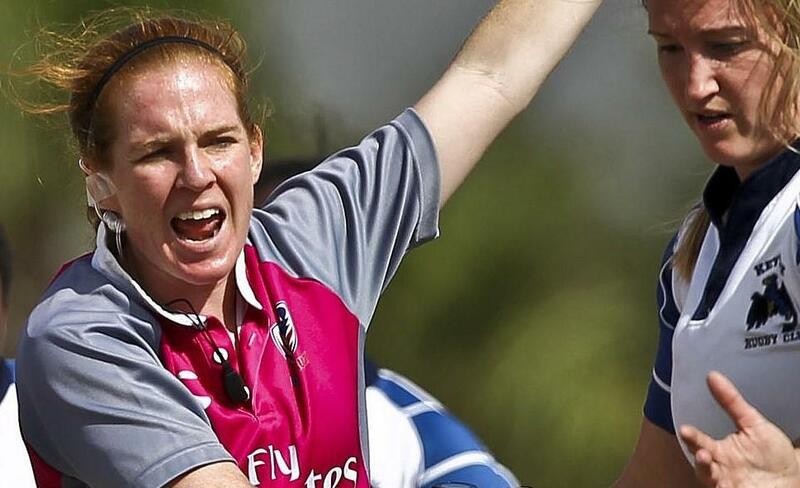 The U.S. longest-running sevens servant is, like a lot of American rugby players, considered somewhat of a crossover athlete. 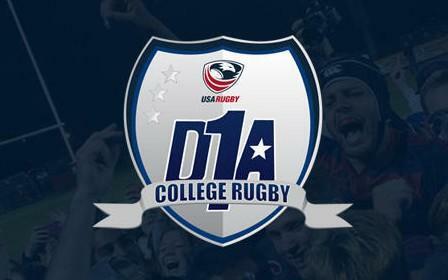 With a background in American football at University of Oregon, it would not be wrong to say that about Zack Test, but he has more than cemented his name in the rugby record books as the U.S.'s all-time leading try-scorer and appearance leader. 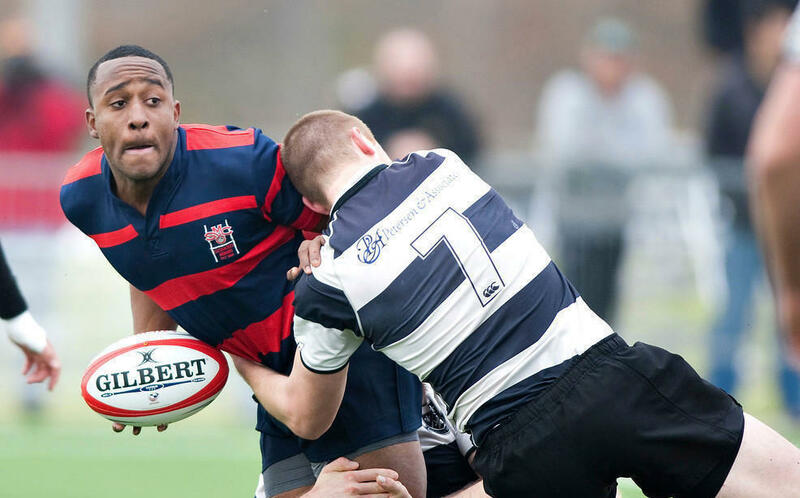 Citing the professional environment in Oregon's football setup to complement his rugby years through high school and college, Test has made a home out of the Olympic Training Center in residency. 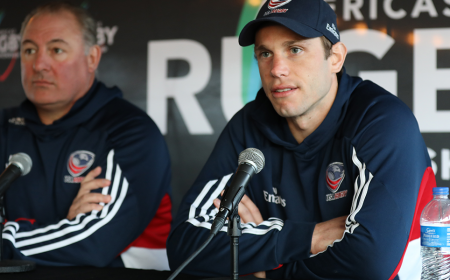 He has been a part of the sevens program since his debut in 2008-09, and has been through the ups and downs of the U.S. team on the circuit. 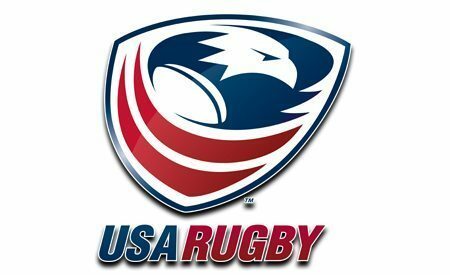 Test's 18 tries and leadership helped save the Eagles from relegation in 2012-13, and, despite sharing the offensive load with the potent Perry Baker and Carlin Isles, was third-best among Eagles try-scorers in 2015-16 with 22. Also active with the XVs team with six caps - four at Rugby World Cup 2015 - Test is as dangerous as they come in international rugby. He possesses one of the greatest steps on the circuit and a strong fend to keep defenders away from a tackle, but can run through opponents just as easily. His height and leap are useful in the set pieces and restarts, where he can win or retain possession for his team. Test has not only won bronze medals with Team USA at the Pan Am Games in 2011 and 2015, but has represented his country at the Maccabi Games. 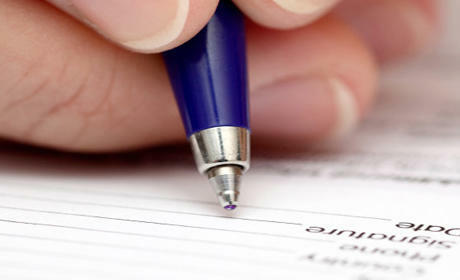 An avid golfer as well as cheat day aficionado, his initial impression may not scream Olympic athlete. 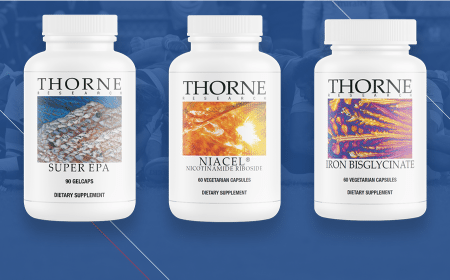 When he runs out onto the rugby field and jumps in the air, however, Test is the epitome international athlete of the highest caliber. 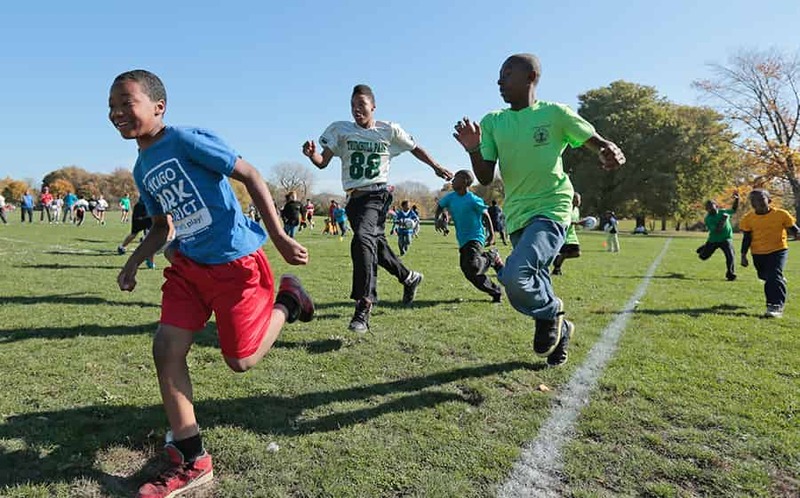 American football has a draw for a good portion of the country's youth. 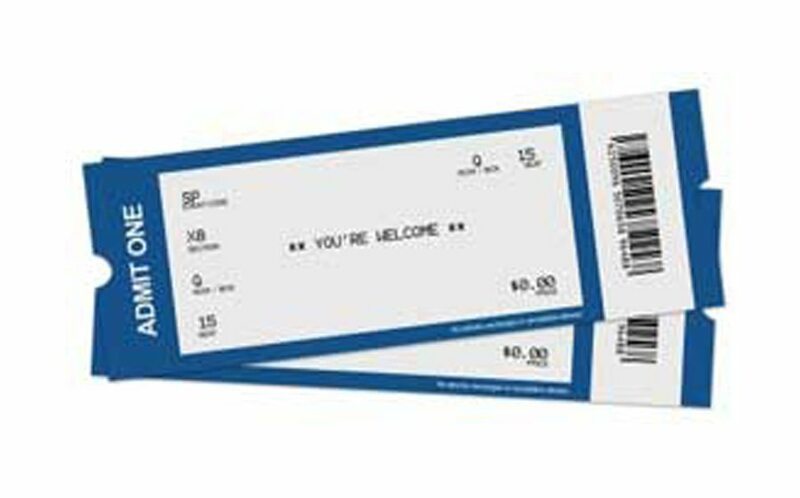 The never-ending love affair with the gridiron provides opportunities upon opportunities for student-athletes to attend college. Maka Unufe had such opportunities, but decided against college, instead taking time away from athletics before taking up rugby seriously. Unufe's under-19 play in Utah caught the attention of the national team, and he was quickly moved into the setup ahead of a bronze medal campaign at the Pan Am Games in 2011. Still just 21, Unufe made his Series debut in early 2012, and a brief break to pursue National Football League options was followed by a move away from the Olympic Training Center and back to Utah with his growing family. The time away from the pressure of international competition refreshed Unufe, and he found a place with the Eagles under Head Coach Mike Friday. As Zack Test put it, Unufe is one of the most athletically-gifted athletes in recent times. Long limbs allow the 6-foot-2 midfielder to stride past opponents and hold the ball away from defenders' arms in contact. 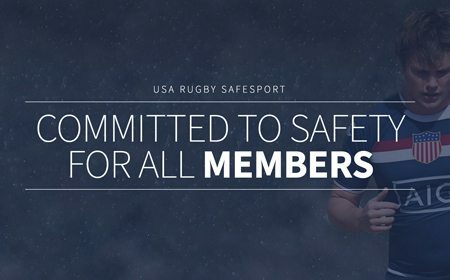 If it were not for Perry Baker and Carlin Isles, he would be the fastest player on the team, and teammates have been quoted as saying Unufe has the quickest acceleration of the trio. 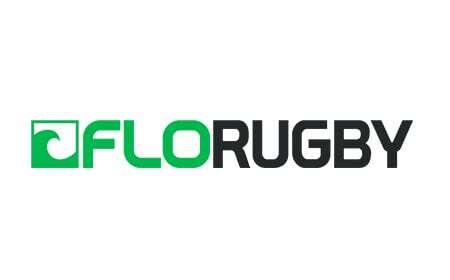 In 106 matches, Unufe has recorded 40 tries. Able to finish off late attacks with the speed or set up teammates with weaving, shorter runs across the field, he is a threat with ball in hand. Unufe's rise to Olympian has been about the effort shown through his play on the field and his passion away from the game to manage the work-life balance. 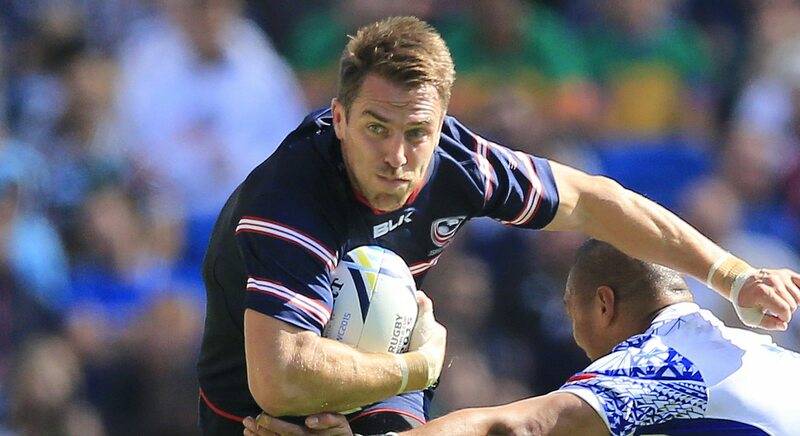 A Captain America in his own right, Chris Wyles has been wearing the colors of the United States since his Series debut in 2007, and captained the team for a period before accumulating 54 caps with the XVs team. If there is anything he has not done for his country, it is representing the stars and stripes at the Olympics. 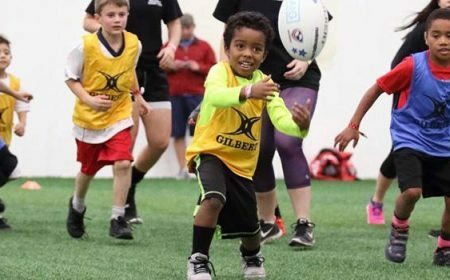 Born in Stamford, CT and raised in Allentown, PA, Wyles has represented his country with pride professionally in England for 12 years with Nottingham, Northampton Saints, and Saracens, most recently winning a double with the latter. In order to keep up his place as a non-Englishman in a Premiership squad, Wyles has made himself irreplaceable, switching between center, full back, and wing duties as needed. That also includes keeping his performances for the Eagles at a high level of play, and 222 points, with time still to play on his contract, would indicate he has. 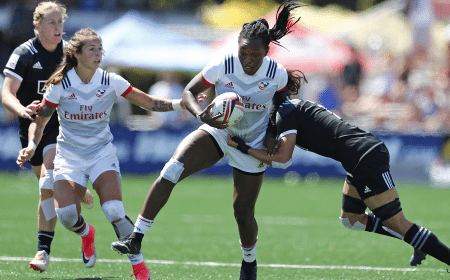 Wyles first stepped back into the Rugby Sevens spotlight at last year's 2015 NACRA Sevens Championships, where the U.S. won its qualification for Rio 2016 at the expense of rival Canada. 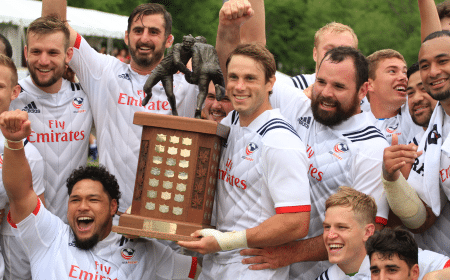 He came into camp at the Olympic Training Center at the end of his own club's season, and the end of the Eagles' first season under Friday, to attempt a sevens comeback. The Eagles had just won the U.S.'s first Series Cup in London with a cohesive unit, but he managed to play his way into the 12-man squad. 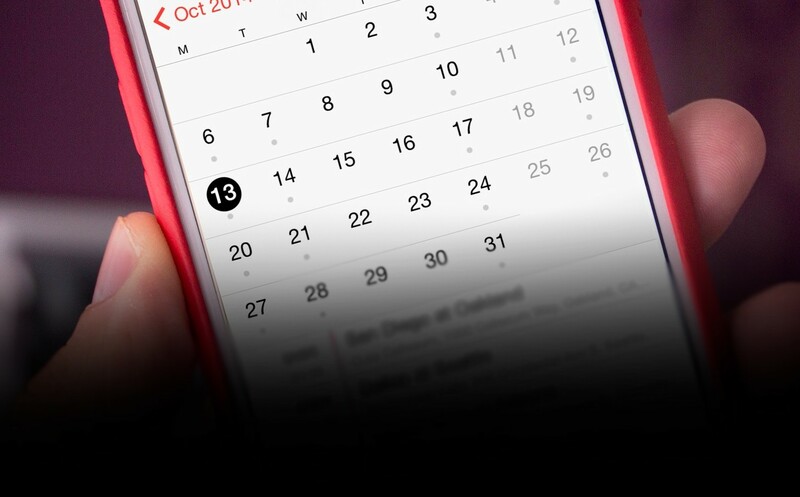 Friday has said it is not about which rugby one plays growing up, be it sevens, XVs, or 10s, but that one goes through enough repetitions in order to become technically sound. 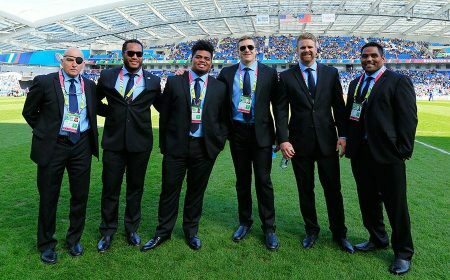 Wyles has played arguable more professional and international rugby than any American before him, and he has been doing it at the highest level. 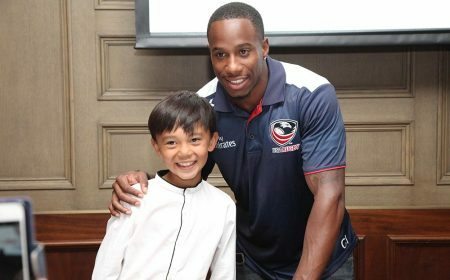 Being able to win a place in Team USA's Rio squad is evidence that Wyles is a rugby player by nature, and one of the highest standard at that.